Today’s guest is a chef turned photographer turned professional Instagrammer. She was an early adopter of the now very popular mobile app and In early 2013 she saw the potential with her 200,000+ followers and quit her job to monetize solely off her Instagram account. Since then she now has over 450 000 followers, has put together countless Instagram campaigns and travels the world taking beautiful photos in her own amazing photography style. 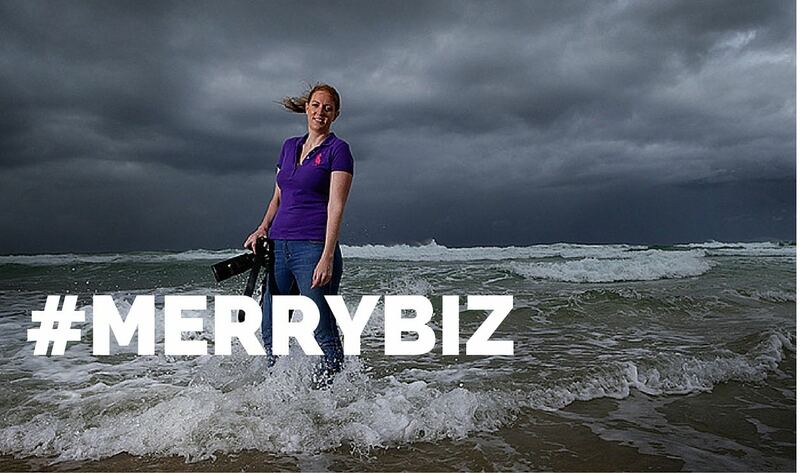 We’re SO excited to welcome Lauren Bath to #MerryBiz! Take a listen and learn how to be a full time Instagrammer! Don’t forget to SUBSCRIBE on iTunes or Stitcher and if you LOVE the episode, give us a 5 star rating and write us a merry-filled review! PLUS learn to Set and Smash Your Goals with our FREE Goal Setting Guide! How do you make money from being a full time Instagrammer? What’s the most amazing experience you’ve had from this journey? What are your top 3 Instagram tips? What are your top 3 photography tips… even if you’ve never taken a photo? We’ve noticed some changes with Instagram… what do you think about this? How do you contact brands to work with you? Why we need to look at others to enrich and strengthen us. Not as competition. The power of travelling the world. How taking action can help you turn your passion into a full time thing. The importance of meeting your online community face to face. The reason why Instagram is an awareness tool and not a direct way to make sales. Our Snapchat advice for YOU: why you need to be on there! We want to give a HUGE shout out to the amazing guys of Drawing North for providing the podcast music of #MerryBiz. Yes, they are kinda epic. You gotta check them out! This is our favourite song! What was your biggest AHA!? We wanna hear all about it! Share your moments of AHA! or the action your gonna take after listening to this #MerryBiz episode!